Elizabeth is amazing! 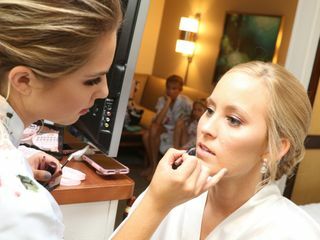 She is friendly, professional, and everyone's makeup turned out stunning for our wedding! I didn't really know what I wanted for my makeup, just something kind of natural and she nailed it. My makeup lasted all day through the tears and dancing. Thank you again!! 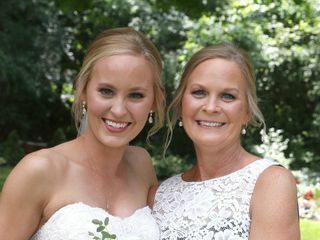 Elizabeth was great to work with and did a fantastic job on myself, moms and all of my bridesmaids! I don’t usually wear a lot of makeup but she made it feel natural and comfortable. I would definitely recommend her work for any new brides! Elizabeth is beyond amazing! She is so sweet and easy to work with. She did my makeup for my engagement pictures (the first time I fell in love with her), bridal shower, and of course my wedding! She is very responsive and always checking up on you. Every time she did my makeup I received SO many compliments, and everyone was wanting to know who did my makeup! She never disappointed and I always knew whatever she did it was going to look amazing! I'll never let anyone else do my makeup for an event besides Elizabeth! Sooo many great things to say about Elizabeth! She makes you feel like you’re the most beautiful person when doing your make up! She’s so easy to talk to, down to earth, and hilarious! And obviously, so extremely talented! You would be crazy not to hire her!!!! Elizabeth was fabulous to work with and one of my favoritw vendors from my wedding. She was so flexible, helpful and put me at ease. Obviously Elizabeth is incredibly talented as a makeup artist, but one of my favorite things about her was how much she listened to me about what I did and didn't want. She respected my feelings and didn't try to force her opinions on me. She worked with me as long as it took to look through pictures and products until we had my look put together. On top of that she hung in there with me on my crazy wedding day. 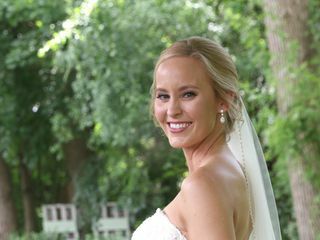 She ran all over town with my bridal party between my house and the salon and back and did whatever it took to get the job done and everyone looking beautiful. After my experience one of my bridesmaids fell in love with her and booked her for her upcoming wedding as well. 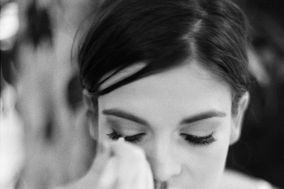 I would recommend Elizabeth to any bride and know that they will love their result!